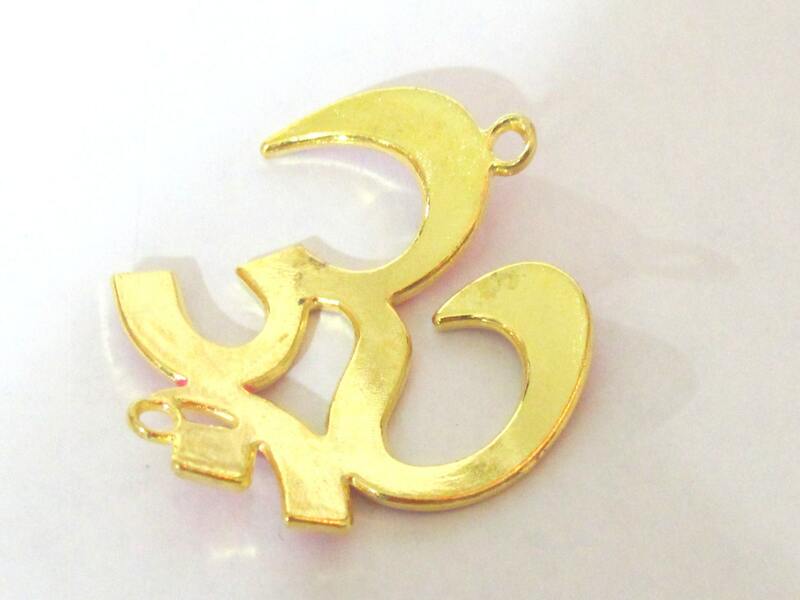 Large Gold tone plated OM connector loop pendants . Blue enamel inlaid. Good quality. Om with a loop/bail on two ends. These will make beautiful necklaces . 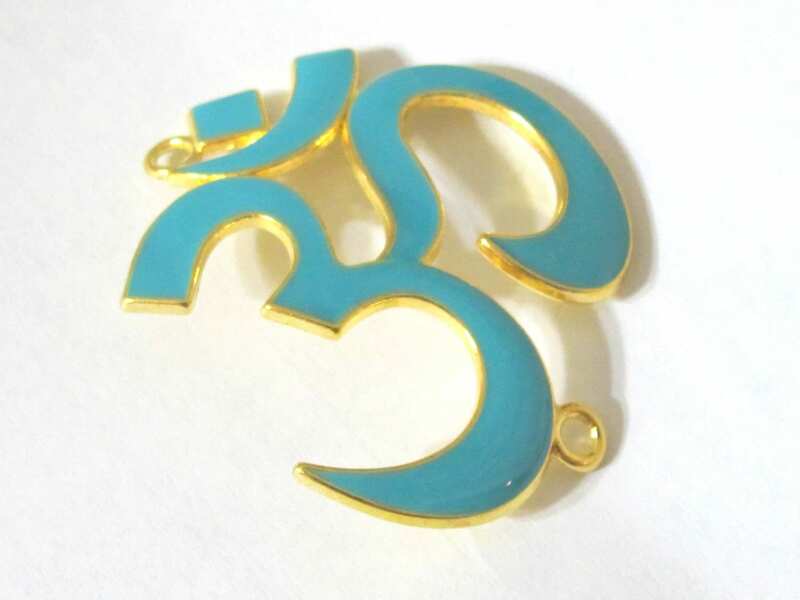 Om is one of the shortest mantras and is a universal sound in nature that resonates continuously. According to ancient scriptures the universe was created from the sound of " OM " . 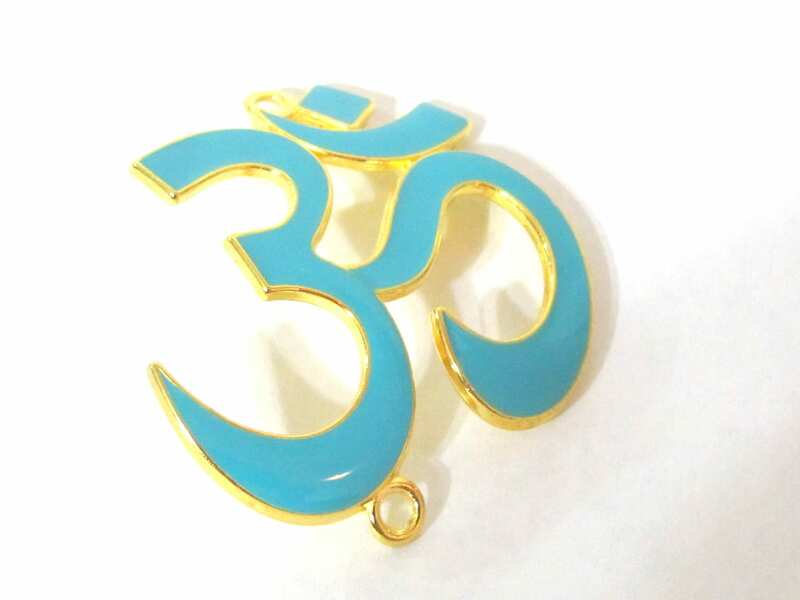 Chanting OM helps to create a harmony in our body as it balances our inner energy with the outer universal energy.